It’s no secret that I love the Castlevania series. I got hooked thanks to the PSOne classic, Symphony of the Night, and had a blast digging into the older titles (not to mention the later SOTN-like handheld sequels). I even enjoyed their first 3D offering, Castlevania 64. So naturally, I was excited to play Castlevania: Lords of Shadow (LOS), last year’s title that Konami went all out on — sparing no expense in terms of presentation. While LOS certainly looks good, the problem is that this is a generic adventure game masquerading as a Castlevania title. You play as Gabriel Belmont, a member of the Brotherhood of Light, a group of holy knights who protect citizens from supernatural creatures. After his wife is murdered by one of them, Gabriel embarks on a journey to bring back his wife while subsequently saving the world from evil. This storyline is a complete reboot of the franchise, but it still doesn’t feel like anything new. I never played the Castlevania games for their stories, but Lords of Shadow just feels like a generic fantasy plot that is anything but interesting. This wouldn’t be a huge deal if the game didn’t feel the need to shove cutscene after cutscene down your throat, almost begging you to acknowledge it as a respectable story. I couldn’t get into it, but this wouldn’t bother me if the gameplay were solid. Unfortunately, it’s not. The game plays out like a poor man’s hybrid of God of War and Uncharted. Combat is typical hack ‘n slash fare (using a chain whip), with buttons for both “light” and “heavy” attacks. As you kill more enemies, you can unlock new, more powerful combinations, and you are given a helpful handbook to remember all of them. The game also uses the same type of magic/health systems found in God of War, even going so far as to require collecting six cogs to upgrade your meters. If you have played God of War or any other hack ‘n slasher from this generation, you will feel right at home here. There’s nothing new to see. 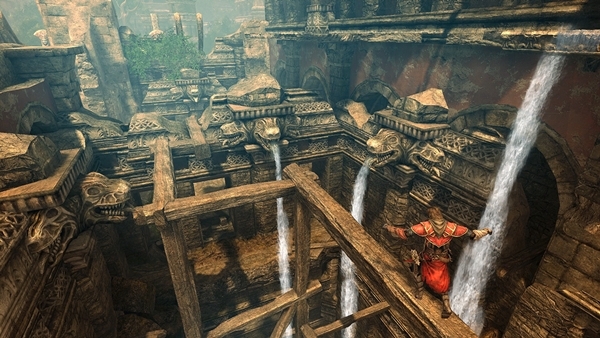 The Uncharted influence comes in the way of its handling of platforming elements. Gabriel often has to jump from ledge to ledge while hanging around on the side of a building, occasionally using his chain to rappel him to distant areas. Rappelling is actually a bit of a problem — there were several instances where I was rappelling down the side of a building then immediately died after reaching some sort of imaginary boundary line. Apparently the rappel can only work at various distances depending on whatever the game feels like at that particular moment. This leads to obnoxiously cheap deaths. Thankfully, checkpoints are generous, but this is still an annoyance that could have been easily fixed. A tried and true staple of the hack ‘n slash genre are epic boss battles. 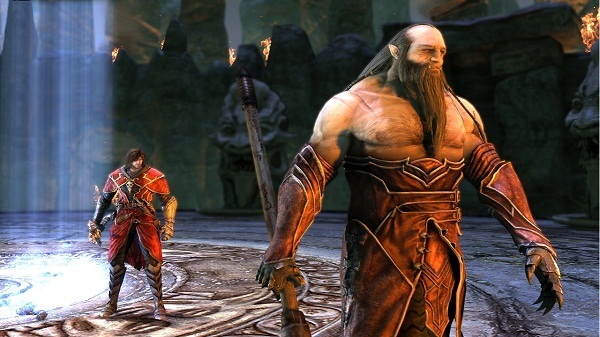 Lords of Shadow tries its hand at this in the form of Titan battles. By all means, fighting these Titans should be badass. They are HUGE, not dissimilar from some of the gods in God of War. LOS’s problem is that these boss fights are painfully boring. It doesn’t take long to figure out the pattern to take them down one limb at a time, and winning ultimately amounts to climbing up them, hitting some relics and dodging their attacks. This wouldn’t be so bad if the entire sequence wasn’t horrendously slow. These fights go on far too long since the Titans take their sweet time doing anything, and every time something happens the game feels the need to show a pointless cutscene. Thankfully, there are only a handful of these segments in the game, but I can’t help but feel there was a lot of potential wasted with them. That’s really the story of Lords of Shadow: wasted potential. It all starts with the new envisioning of Belmont — this kid is devoid of any personality, has poor voice acting and looks like Generic Video Game Hero #3999573. The game’s environments, while absolutely beautiful, feel hollow and uninviting. The game attempts to create the feel of a wide open world, but it actually comes across as boxed in. Only narrow sections of the massive environments are open for use, which makes the gameplay feel like it is stuck a generation behind. LOS also uses a fixed camera, and it is absolutely horrible. The camera angles have a habit of changing at the most inopportune times, causing more cheap deaths and hiding crucial game elements. Simple tweaks here and there would have led to an infinitely more rewarding experience. It’s not that Castlevania: Lords of Shadow is necessarily a bad game, it’s just that it doesn’t do anything particularly well. Everything here has been done before, and the total sum of all parts is merely average. 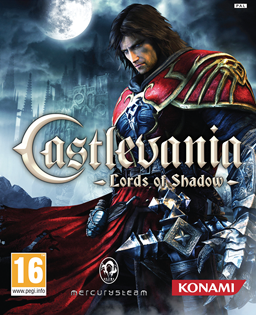 It’s a shame that Konami felt the need to add the Castlevania name to this title because Lords of Shadow simply represents another failed effort to “upgrade” the series. I played the demo when it was first released and thought it was decent, but didn’t seem like it’d be worth paying full price for. Glad now that I didn’t ever purchase it. Thanks, Gary. It was the demo that sold me, actually, but I waited until I was able to pick it up on Goozex rather than paying cash for it. I think I was just excited to see a new Castlevania, and the novelty wore off by the time I got it. It’s too bad, because the game looks beautiful. Just a comment after reading your article: An opinion is NOT a review, my friend. you are bashing an awesome game because you don’t like it, not because it is good or bad. Assuming a game is bad because you don’t like it is just plain arrogance. And personally I think you have a very, very bad taste for games if you can’t appreciate such a good product as Lords of Shadow. Thank you for the comment, Joshua, but I am afraid we will have to agree to disagree here. I explicitly stated that Lords of Shadow is *not* a bad game, just merely average overall. There are too many quirks and annoyances that are the result of sloppy game design, and it feels like the developers spent more time on the presentation than the actual gameplay. The potential for a good game is certainly there, but it still needs a lot of work. Glad to hear I am not alone on this one. I have no doubt in my mind that there can be a *great* 3D Castlevania game someday, but Lords of Shadow sadly is not it.